Say hello to one more sign that we live in an ever-increasing digital world. 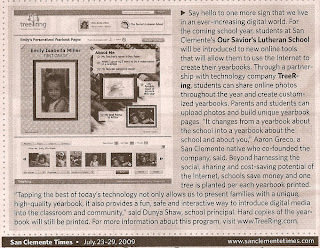 For the coming school year, students at San Clemente's Our Savior's Lutheran School will be introduced to new online tools that will allow them to use the Internet to create their yearbooks. Trough a partnership with technology company TreeRing, students can share online photos throughout the year and create customized yearbooks. Parents and students can upload photos and build unique yearbook pages. 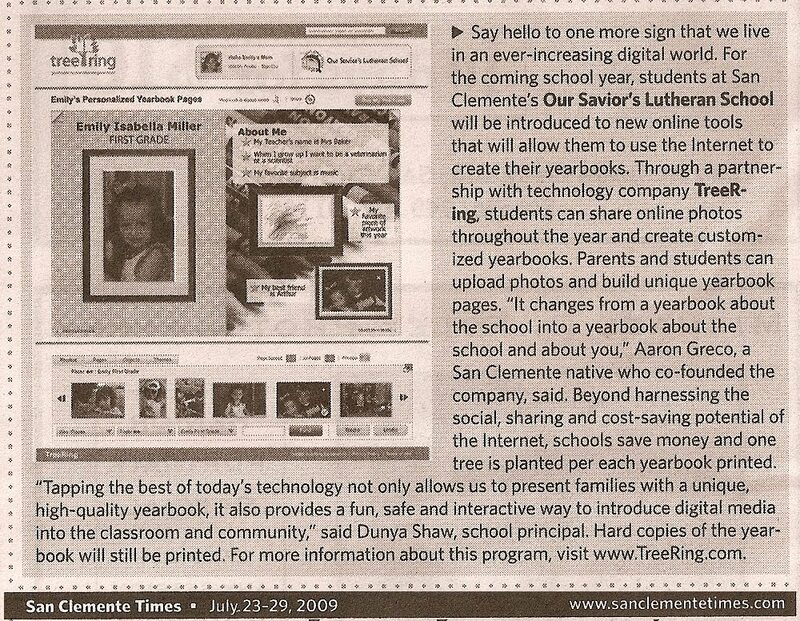 "It changes from a yearbook about the school into a yearbook about the school and about you," Aaron Greco, a San Clemente native who co-founded the company, said. Beyond harnessing the social, sharing and cost-saving potential of the Internet, schools save money and one tree is planted per each yearbook printed. "Tapping the best of today's technology not only allows us to present families with a unique, high-quality yearbook, it also provides a fun, safe and interactive way to introduce digital media into the classroom and community," said Dunya Shaw, school principal. Hard copies of the yearbook will still be printed. For more information about this program, visit www.TreeRing.com.